Precise stamping every time! Use direct downward pressure for even, perfect stamping. Package includes mat, extra-strong magnets, acrylic stamping block, and stamping base. 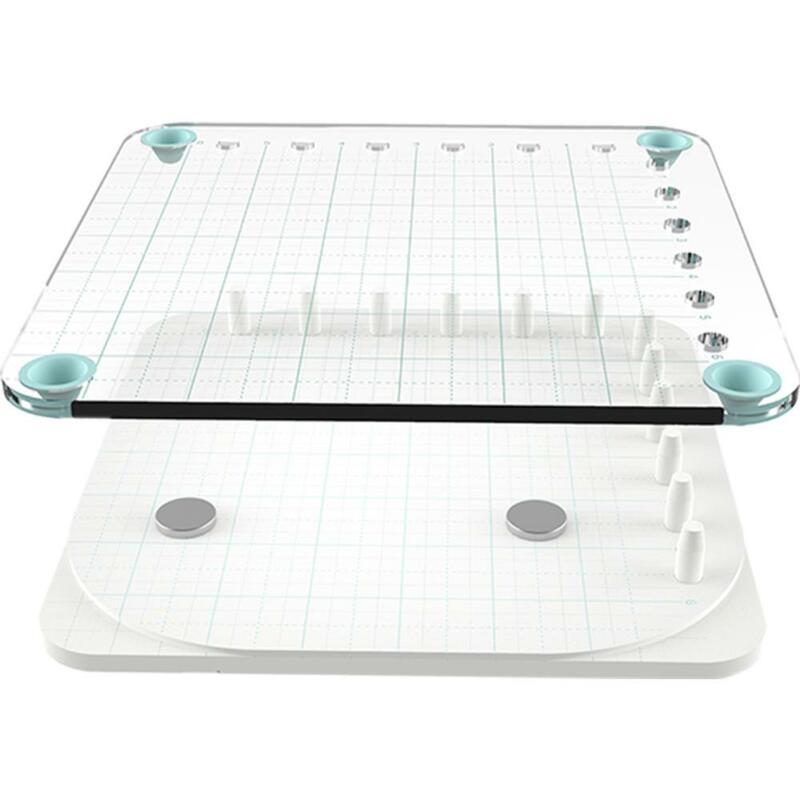 Rotate the acrylic block to utilize all four corners. The open edges accommodate 12 inch paper. The rubber corners provide the even stamping pressure. 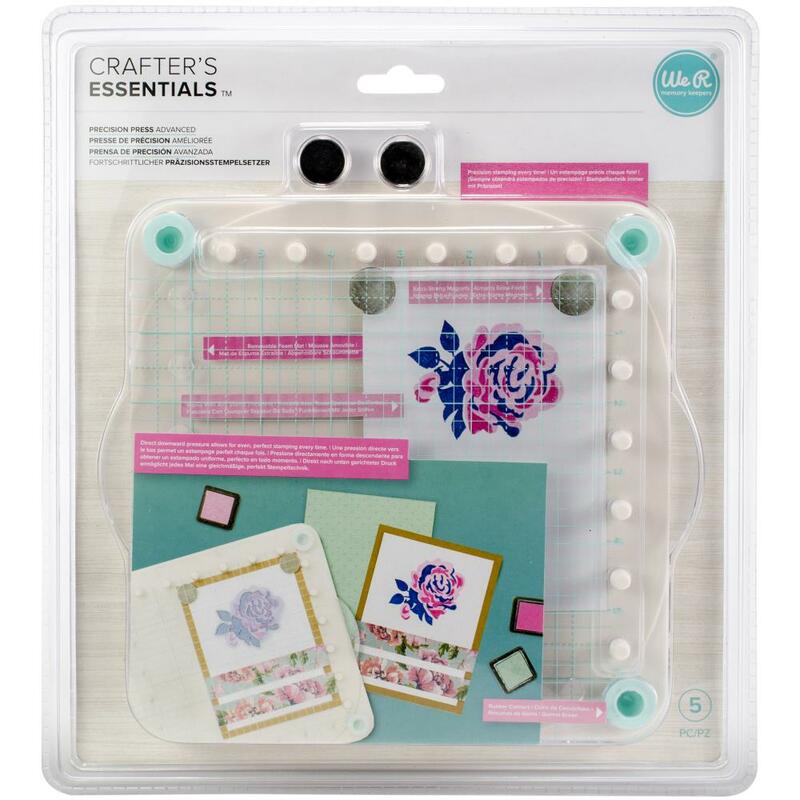 This 10.5x11.5 inch package contains one 8.75x7.75 inch acrylic stamping block and foam pad with six inch grid and two magnets.